Inspired by Japanese Laquerware, one coat provides intense color and deep luster. 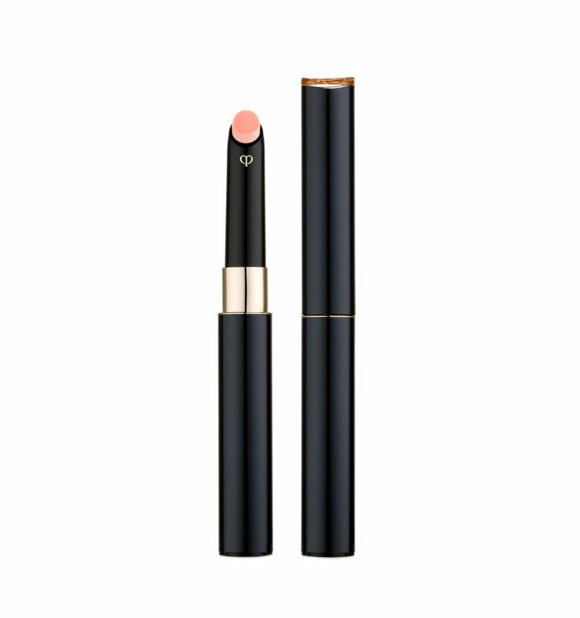 Applicator fits closely against the lips for a comfortable, even application that does not bleed. Lacquer Rouge improves dry, rough or peeling lips with continued use, leaving them smooth and deeply moisturized. The Clé De Peau Beauté Extra Rich Lipstick looks elegant and has a moisturizing effect on your lips. Its luxurious color and velvet finish offer a rich color and an exquisite texture. Its long-lasting formula makes sure it lasts all day. Shop Cle De Peau Beaute Extra Silky Lipstick online at Hommi.We ship worldwide,free International Shipping over 8000 yen.See Price, Brand, How to use, Images, Customer Reviews, Questions & Answers for Cle De Peau Beaute Extra Silky Lipstick.Customers who viewed this item also viewed DHC Pure Olive Lip Balm / Olive Lip Balm (Moisturizing, No Spice),CANMAKE Lip Moisturizing Concealer / Lips Base Gently Gently Bunting Essential,RIMMEL MAGICALSTAY LIPCOAT 6g,Jill Stuart Fruit Lip Balm N,CPB 2016 rouge liquide éclat.You can also buy CPB natural cotton 120piece,Clé de Peau Beauté correcting cream veil /Sheer Fluid Veil,Cle De Peau Beaute Gentle Cleansing Foam,Cle de Peau Beaute voile blanc brightening enhancer base 30ml,CLE DE PEAU BEAUTE Silky Cream Foundation fluide/éclat Two optional and more Clé de Peau Beauté(CPB) at Hommi.